Transferring data from Exchange Server to Mac Outlook is one of the important need for the user who have migrated from Windows to Machintosh. It can be done through the Sync Exchange Server to Outlook 2011. However, sync for exporting Exchange data into Outlook cause errors or issues which vary from mail delayed to not syncing at all or mail disappearing. Therefore we recommend you with 2 simple steps through which both corrupt and healthy EDB files of Exchange Server can be converted to Mac Outlook 2011 without hampering or altering any information during the process. The following segment will help you to in getting the process of migration done within two simple yet effective steps. 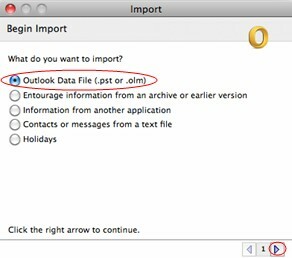 It is an accurate and highly effective way to add Exchange to Mac Outlook 2011 while keeping the accuracy, hierarchy, attachment and other important details remains unaltered during the whole process of importing EDB files to Mac Outlook. Click File, then click Import. 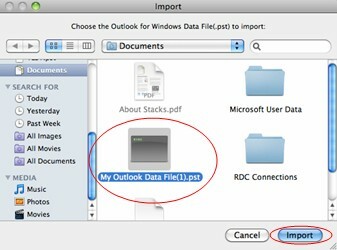 Select Outlook Data file (.pst). Click the right arrow to continue. 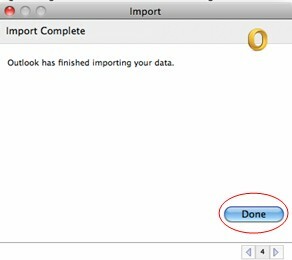 Select the file which you need to import, click right arrow to continue. 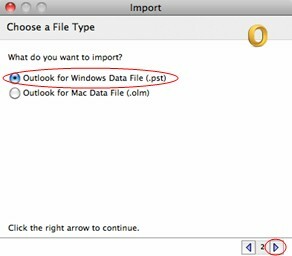 Locate the .pst file, Select the file, and click Import.